With a stay at Criterion Hotel Perth in Perth (Perth Central Business District), you'll be steps from Hay Street Mall and 15 minutes by foot from Elizabeth Quay. This hotel is 0.4 mi (0.7 km) from Royal Perth Hospital and 2.7 mi (4.3 km) from Crown Perth. Make yourself at home in one of the 69 air-conditioned rooms featuring refrigerators and LCD televisions. Complimentary wireless Internet access is available to keep you connected. Private bathrooms with showers feature complimentary toiletries and hair dryers. Conveniences include safes and desks, and housekeeping is provided on a limited basis. 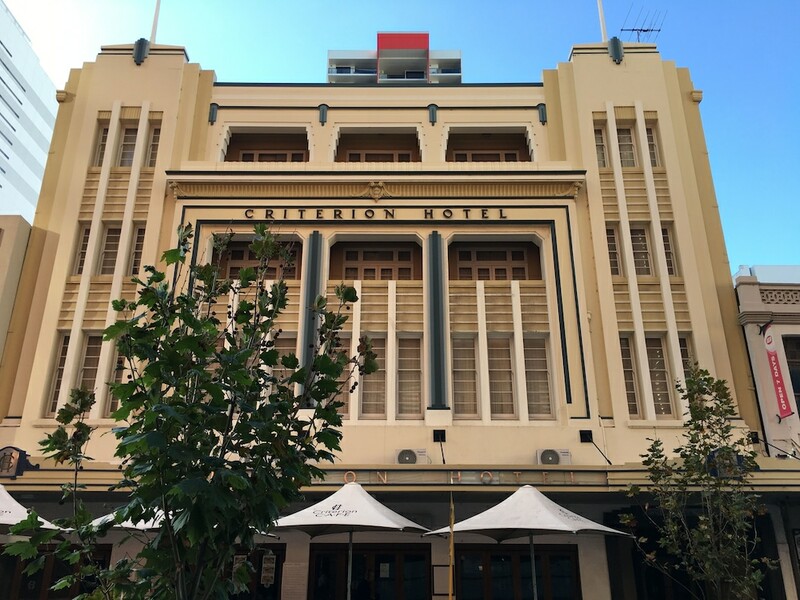 Criterion Hotel Perth features tour/ticket assistance, dry cleaning/laundry services, and a safe deposit box at the front desk. Public areas are equipped with complimentary wireless Internet access. Criterion Hotel Perth is a smoke-free property.